Bergen, Part 2: Have You Driven a Fjord Lately? First, put this on your bucket list. For sure. It’s impossible to exaggerate just how beautiful and majestic the Norwegian fjords are. And gliding through them by boat, seeing the tiny communities dotting the shoreline was like taking a trip back in time. Our particular journey began, however, long before boarding the boat. It was like living five days in one. We targeted Bergen in the first place thanks to a brilliant suggestion by our dear friend, Tina, who had told me about the Norway in a Nutshell tour. She had seriously understated what the experience would hold, but then this is someone who was the personal guest of the King of Norway a few years ago, so I get it. The day began with a very early train ride for a few hours through beautiful countryside and edges of fjords. Fjords are deep, often narrow inlets formed when retreating glaciers carve valleys into coastal mountains and then get filled in by the sea. They have the serenity of a lake but are surrounded by steep walls of lush hillside animated by gushing waterfalls. Everywhere you look. 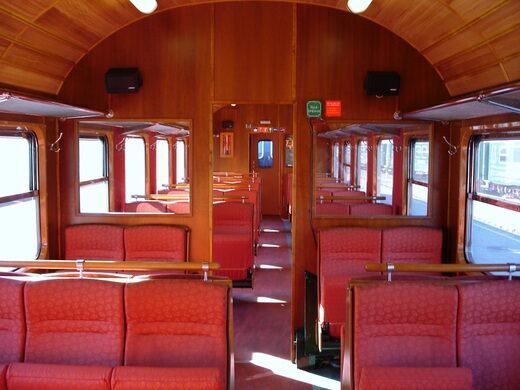 Our train stopped at Voss, where we walked down the road to dozens of waiting coaches and picked one to hop on. 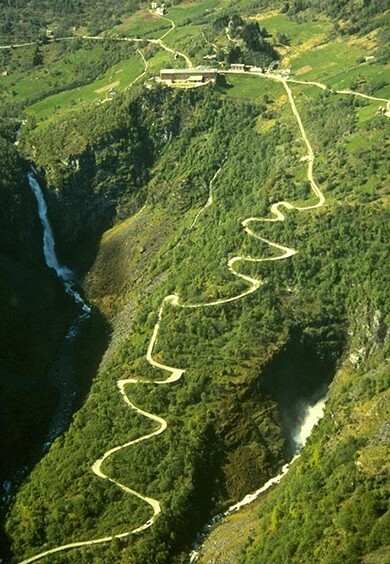 …beginning a hair-raising descent down a one-lane, very steep, winding mountain road called Stalheimskleiva. It is one of the steepest roads in Europe, with 13 hairpin turns…except “hairpin” makes them sound like nice, wide swings down a mellow switchback road. No. This road has a gradient of 18-20 degrees, and we did it in the rain. Heavy coach bus, wet roads, fingernails bitten to a nub. I wanted to lead a standing ovation for the driver when we got through the last one but was afraid we’d all startle him and go careening off the road. The bus unloaded at a tiny little place called Gudvangen (population 100), where we suddenly found ourselves on what looked like a small, serene, lake fed by a small stream and surrounded by 360 degrees of steep, lush cliffs and innumerable waterfalls. We would later see that we were on a tiny little offshoot of Nærøyfjord, one Europe’s most narrow fjords and included on UNESCO’s World Heritage List. We ate lunch and took in the scenery while waiting for our boat to arrive. It was like something out of a Lord of the Rings movie. But with a souvenir shop. You can ride this boat with an upgrade. Ours was more of an industrial-strength ferry. Naturally, the rain started just as we boarded our boat and took our seats outside. It was very cold. It was very wet. And we were a bit underdressed for the temps. It didn’t matter, though. We were there for some fjord action, by golly. And we got it. Just beautiful. The pictures don’t begin to do the experience justice. Even with layers, we were underdressed, so we did wimp out for refuge inside on occasion where there was plenty of dry seating and heat, plus hot drinks and snacks. The boat tour lasted about two hours, during which we meandered through the aptly named Nærøyfjord and the spectacular Aurlandsfjord. This is a screen shot from the monitor inside the boat. The blue dot is our location at that moment, and the yellow dots are homesteads, villages and points of interest along our route. We glided past tiny, picturesque villages and homesteads, all very isolated and remote, with nothing but water and towering hillsides surrounding them. There were too many waterfalls to count. The ride ended at Flåm, a tiny village of just 400 people, which swells in size every time a tourist boat arrives. Here in the heart of traditional Norwegian culture, we ordered chow mein at a food truck and then watched the chef from the Philippines living in Oslo prepare it. Such an authentic local experience, no? From here we boarded the famed, old-school Flåm Railway, in operation since 1940 and regarded as one of the world’s most beautiful train journeys. You will see rivers slicing their way through deep gorges, waterfalls leaping off steep mountainsides with snow-covered mountain peaks, as well as mountain farms clinging tenaciously to steep slopes. Down at the bottom, you can enjoy the scenic cultural landscape of the Flåm Valley and admire beautiful Aurlandsfjord. It’s also the steepest standard-gauge railway in the world, climbing over 2,400 feet over the course of just 44 miles. At one point, the train stopped in the middle of nowhere – not a sign of civilization to be found for miles – for a particularly dramatic, rushing waterfall called Kjosfossen, right next to the track. We were allowed to briefly disembark for pictures when we suddenly heard mysterious singing over a loud speaker (video by a 2014 tourist here). 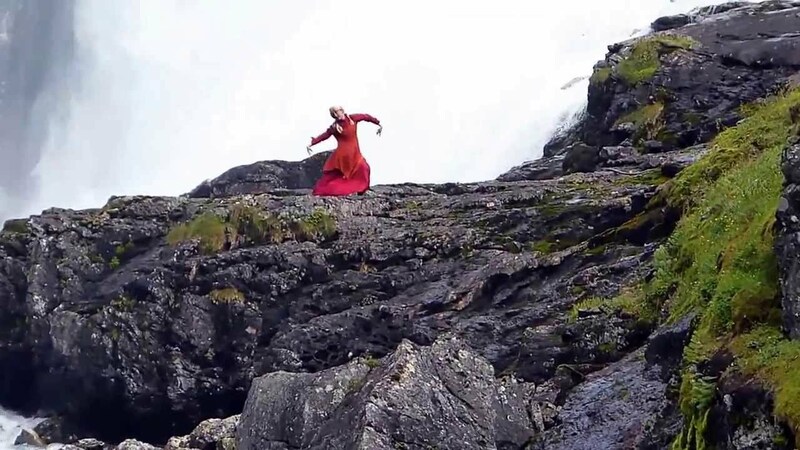 A lone woman dressed as a Hulder (a seductive forrest creature in Scandinavian folklore) had stepped out onto the hillside high above to dance as the song played. It was beautiful but rather bizarrely unexpected (kind of like the time our train attendants broke into a disco-inspired fashion show of traditional Peruvian sweaters on the train back from Machu Picchu a few years back, but that’s another story…). This railway dropped us at Myrdal, where we boarded a regular train for the three-hour ride back to Bergen, with additional stunning scenery and fjord vistas. The entire sojourn lasted just 12 hours but seemed like 72, offering a sense of what glaciers leave behind over the course of millions of years and catching glimpses of tiny villages where people live as if time has not passed. We walked back into the apartment utterly exhilarated and inspired. Coming soon: Grab Your Bike, We’re Going to Copenhagen! I’m so glad you all did this, Theresa! My friend Lulu and I drove her little Toyota truck down that same road and took the ferry through the Fjord. The ferry captain was a hoot, and let each of us take the helm for a few minutes. You are right–it’s all amazingly beautiful. What great memories! I have been reading in bits and pieces and am loving your writing! Seems like things have smoothed out in the traveling family dynamic since the earlier hiccups. Bon chance in further adventures!